Comments: This image is a composite of 1/2000 sec, 1/125 sec, 1/32 sec, 1/16 sec, 1/8 sec, and 1/4 sec photos. They were all taken in the span of about 1 minute during totality. 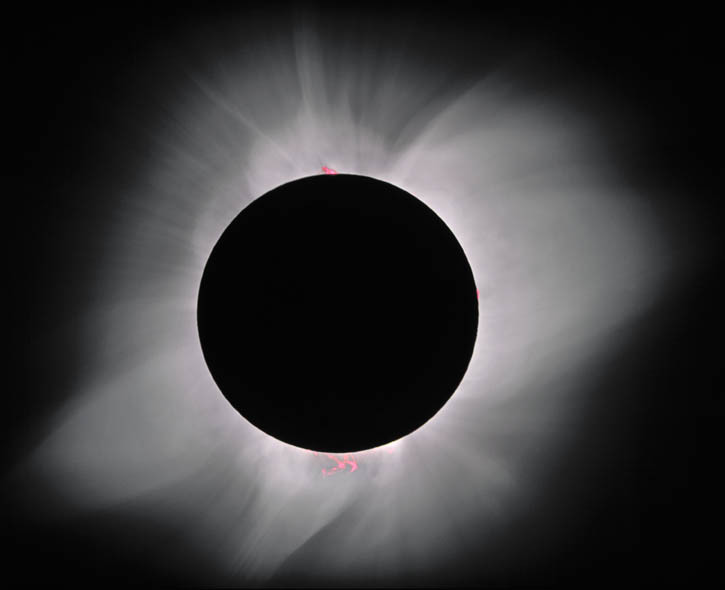 Photoshop was used to build the image starting with the shortest exposure and progressively layering/blending outer parts of the corona shown by the longer exposures.